Like most people, coffee is one of the most important rituals in my morning routine. There’s something about the aroma and taste that kick-starts my ability to have a great day. So, imagine my surprise when I found out that a favorite coffee shop was closed before I had to jump on an early-morning flight home. The employees were in the shop, but the gate locked out coffee aficionados, like me, who really needed that jolt of caffeine. Such is the case for supply chain automation initiatives. Although the Internet of Things (IoT) is playing a significant role in today’s supply chain, advanced analytics-driven data aggregation platforms are now earmarked as an area to watch. IDC recently reported that 60% of manufacturers will likely leverage an advanced analytics-driven data aggregation platform to improve the speed and accuracy of the fulfillment process this year. However, Gartner gives a stern warning that three out of five factory-level artificial intelligence (AI) initiatives in large global companies will likely stall within the next three years, due to inadequate skill sets. IDC’s and Gartner’s predictions are stunning revelations considering the skyrocketing growth of computing capacity and data volumes used to empower supply chain leaders to make smarter decisions. 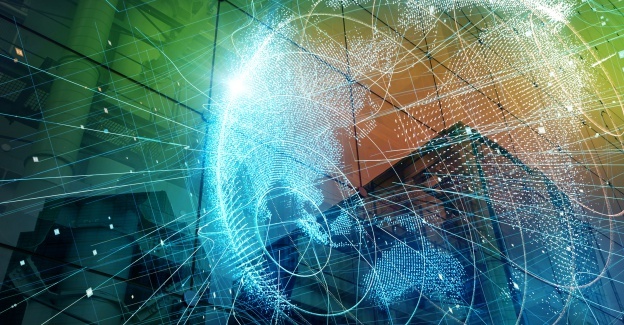 But if done well, supply chain managers can extend their IoT capabilities with artificial intelligence to run operations that are fast, nimble and intelligent enough to stay competitive in today’s high-speed global marketplace. For example, when a new customer signs a contract, production planning can start automatically. A digital signature triggers warehouses to pick and ship goods needed as outlined in the agreement. Then production is scheduled, and qualified and available human resources are assigned by a system. If employees need to travel to a customer location to install a machine, arrangements are made in parallel. Through AI, the best rates for hotels, flights and car rentals and dates that fit into everyone’s schedule and time restrictions can be determined immediately. Once installed, the machine can use Big Data algorithms to learn patterns and behaviors. This approach enables them to detect the threat of malfunctions that require maintenance, define factors impacting performance and optimize processes and opportunities for automation. The struggle against complexity is something that plagues the mind of supply chain managers. From a growing network of suppliers and the risk of corrupt sourcing practices to trade restrictions and just-in-time delivery, automation can help them sleep better at night. Center for Global Enterprise research has revealed that the more digital the supply chain, the greater the chance the business can reduce procurement costs by 20%, lower supply chain process costs by 50% and increase revenue by 10%. For example, the beverage powerhouse, Schweppes Australia, combated the inaccuracies and inefficiencies of its supply chain by upgrading its entire distribution center management system with AI technology. The paperless system gave supply chain managers greater visibility into every task – from sourcing to last-mile delivery – to eliminate inefficient practices such as over-replenishing pick faces, which often led to delivery delays and suboptimal spend. By introducing more flexible and efficient practices, Schweppes’ supply chain processes are 99.9% accurate. Managers monitor shipments, at the click of a button, to pinpoint and evaluate gaps in replenishment, prioritize and sequence order drops and oversee process status. As a result, the company streamlined its order shipment process to picking by bulk, transferring orders to the staging line, dropping actual orders and retrieving orders from the staging line. The use of robots in the supply chain is a hot topic. But contrary to widespread fears, the real news is not about eliminating human jobs – it’s about making work more meaningful and challenging for everyone while offsetting a looming labor shortage. In fact, IDC predicted that 50% of fulfillment centers will have co-bots operating next to humans in the picking, packing and shipping floor to drive up productivity up 30% and lower the cost of operations. Supply chain management should prepare for the future by implementing the IoT and define new use cases to tap into never-before-conceived revenue streams. And if there was a reason to get started, hygiene company Hagleitner is an excellent source of inspiration. For years, Hagleitner has been a reliable bathroom supplier for fast-food restaurants, hospitals and theaters throughout Austria as well as multiple cruise lines internationally. As the demand for its services grew, the company decided to make its operations more efficient by embedding sensors to track everything from the use of faucets to stocks levels of soap, air freshener and paper towels. This strategy not only made services more responsive, proactive and consistent, but the company is also saving warehouse space, meeting demand with greater sustainability and optimizing logistics processes and personnel assignments. At the same time, its customers are assured that their bathrooms are well-equipped and address every visitor’s bathroom needs. The more supply chain technology matures, the smarter the supply chain will run. While the IoT is helping your supply chain respond faster and more flexibly to market changes, it is still important to look ahead and see how the data you’re generating can take your supply chains to new levels of efficiency, demand forecasting and speed.